Does your child have an allergy that people around them need to be aware of but you’re not always there to tell them? This listing is for 5 pinback buttons featuring the allergy information, color, and center image of your choice. 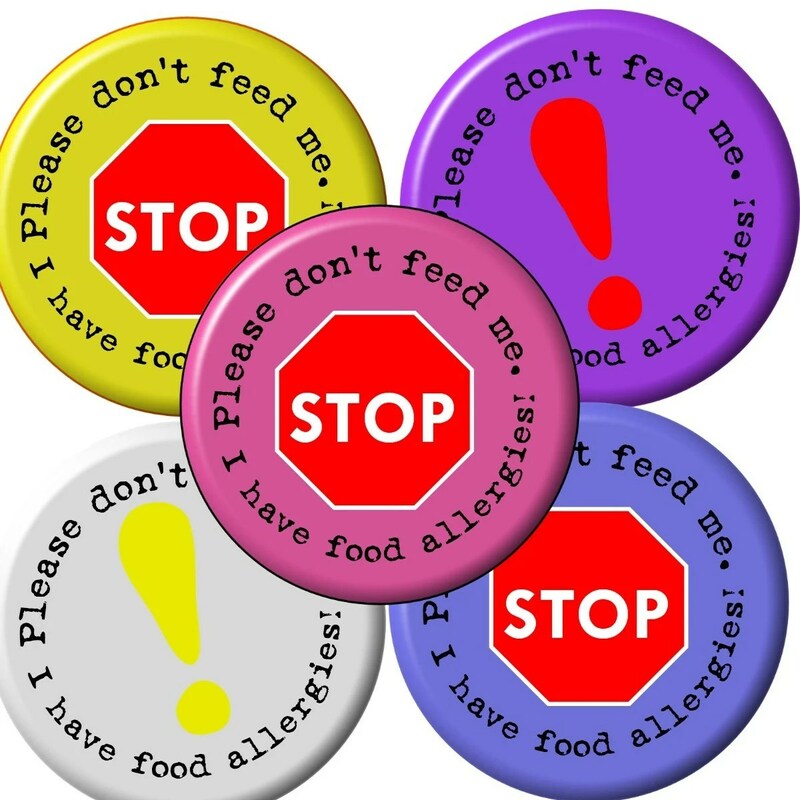 Want a peanut allergy button in blue with a truck? We can do that! A milk allergy button in purple with a flower? We can do that too. We here at geek details are well aware that not every child can vocalize their allergy yet and that sometimes a little help is needed to remind people of the allergies a child has. Why not do it in a fun reusable way? Each button is handpressed using a Tecre button maker. This means that there are no bumpy edges or bits of mylar sticking out around the edges. All my buttons look like professionally made buttons you’d buy from any brick and mortar because they are made using the same professional grade parts and machine, but come from my home to yours. Have a kid with allergies? This pinback button set is perfect!